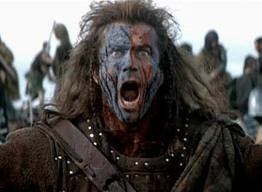 The Scottish struggle for independence from England lasted from 1296-1328 and made a hero out of a commoner named William Wallace. After the King of Scotland died without an heir, the country's clans and nobles fought over the crown. 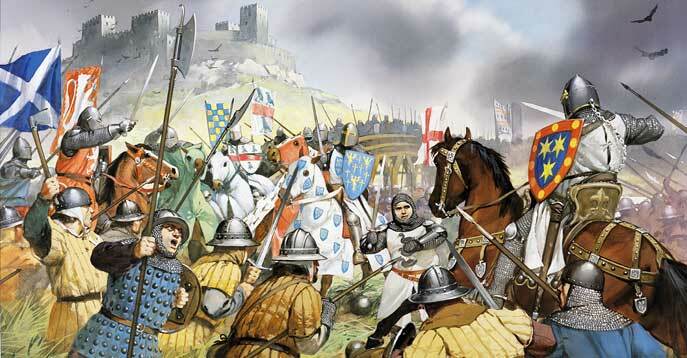 This gave the King of England, Edward I "the Longshanks", a chance to invade and take control of Scotland. 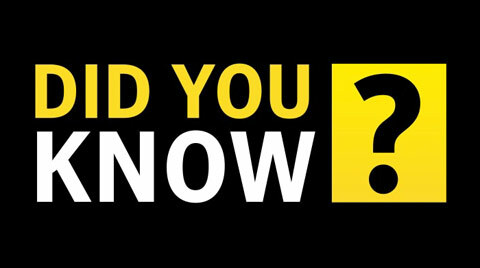 According to legend, Wallace was outlawed by the English because of a quarrel that resulted in the death of an Englishman. He subsequently burned an English garrison and led an attack upon the English justiciar, an officer for the king, at Scone, Scotland. 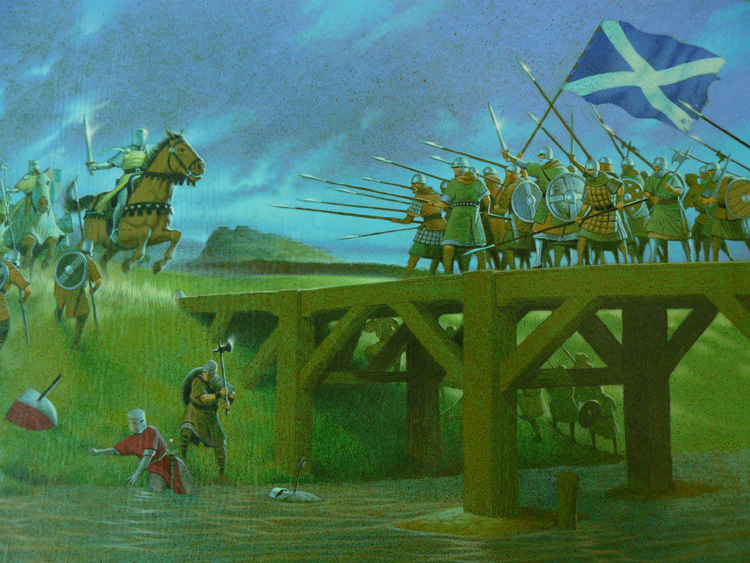 Wallace captured many English fortresses north of the Forth River, and on September 11, 1297, in the Battle of Stirling Bridge, he destroyed English forces attempting to cross the Forth. He was then elected to the office of guardian of the kingdom. 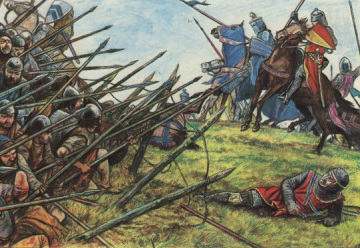 In 1298, Scotland was invaded by a large English force led by Longshanks, who defeated Wallace's army at the Battle of Falkirk. Wallace fled and lived in France but returned and was captured by a Scottish knight. He was brought to London, tried for treason, and executed in 1305. The movement continued under Robert the Bruce, whose victory at the Battle of Bannockburn against King Edward II in 1314 helped secure independence, which was officially granted in 1328. 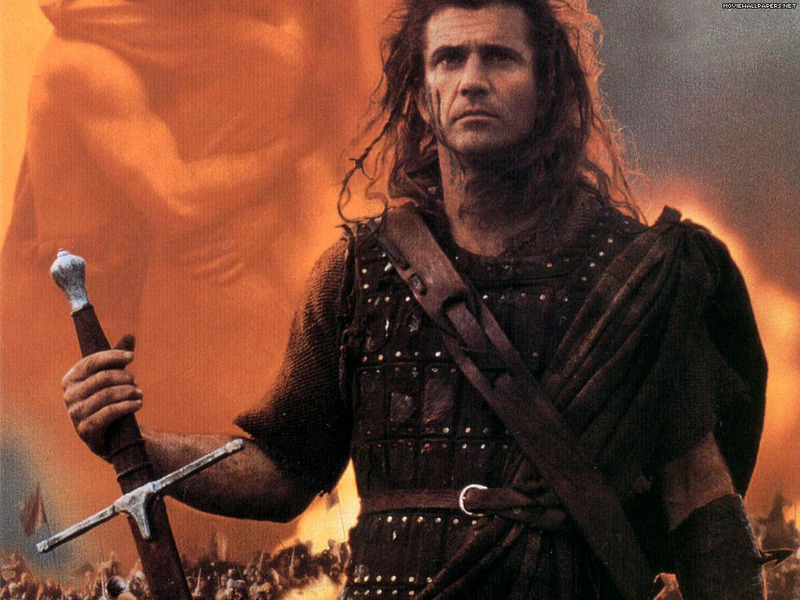 The sound bite below is from the final scene of the movie Braveheart... don't play it if you don't want to know how it ends... unless, of course, you've read everything on this page up until this point. In that case... be my guest. Few sources about William Wallace's early life exist, and historians rely on an account written around 1477 (almost two centuries after Wallace's death) by the Scottish poet Henry the Minstrel... better known as "Blind Harry". but it did take some liberties with the story. 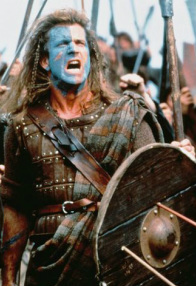 Wallace never painted his face blue before battle in real life. Robert the Bruce didn't betray Wallace at Falkirk. 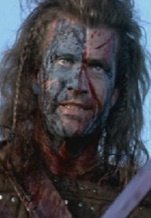 Longshanks wasn't on his deathbed when Wallace was executed, as shown in the movie. 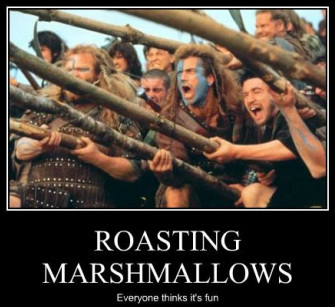 In fact, Longshanks didn't die until 1307... 2 years AFTER Wallace's death. Dear Hollywood: Please make this movie.